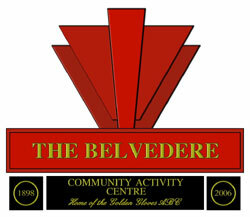 If you are looking for a venue for your club or activity then why not check out the Belvedere. See our Facilities page for more information on space for hire and contact us to find out about availability. We currently host several sports and fitness classes, including drop-in sessions and 50+ health programme. See our Activities page for more information. As we have a fully kitted boxing gym and CV Suite, we host many different options for adults and juniors to train. See our Boxing page for more info.